I’ve been fishing my whole life. I love fish. They are amazing creatures and they can be quite tasty too. Driving up Hwy 395 near Independence, CA we happened to see a sign for the Mt. 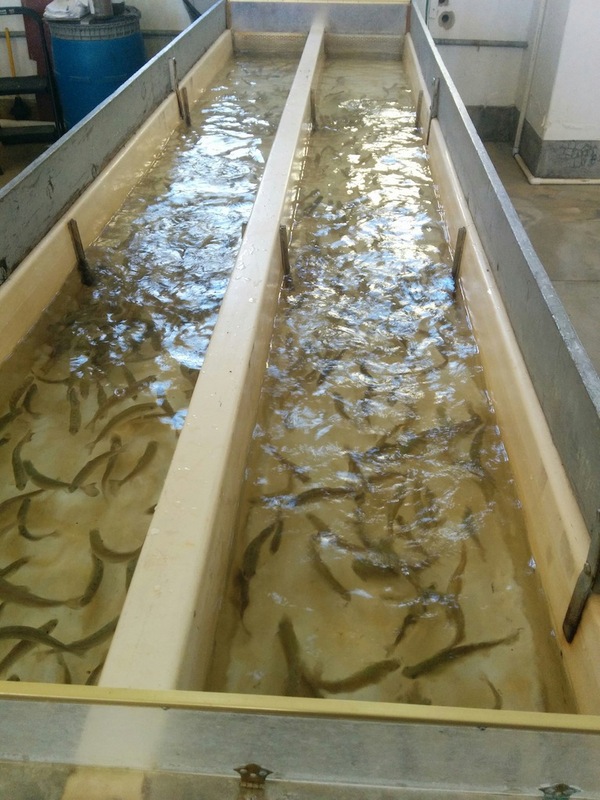 Whitney Fish Hatchery and decided to turn in and take a look. 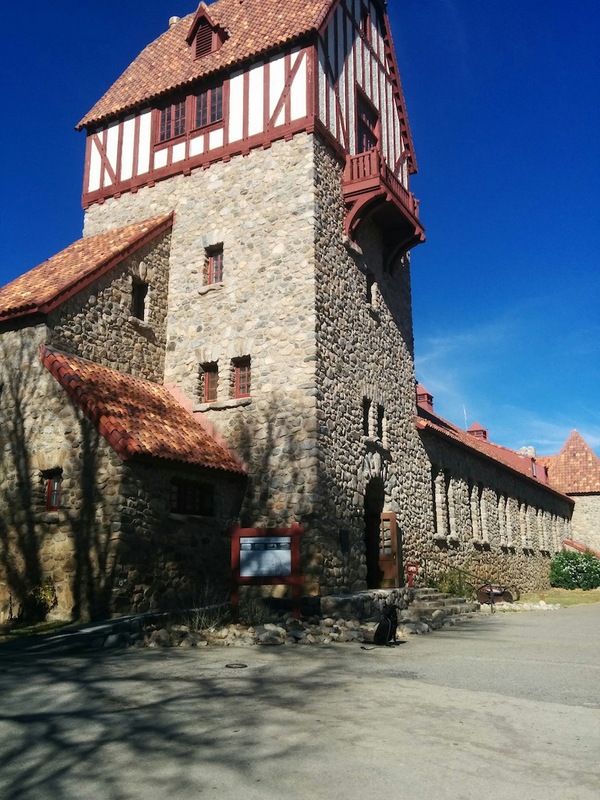 Little did we know that we would find a stunning historical building that is, seemingly, a rock cathedral dedicated to the state fish of California, the Golden Trout. I tried to take a picture encompassing a whole exterior side of the building and its tower but was thwarted by my Nexus 5’s phone camera limitations. The sign out front gives a quick overview of the building and its history. 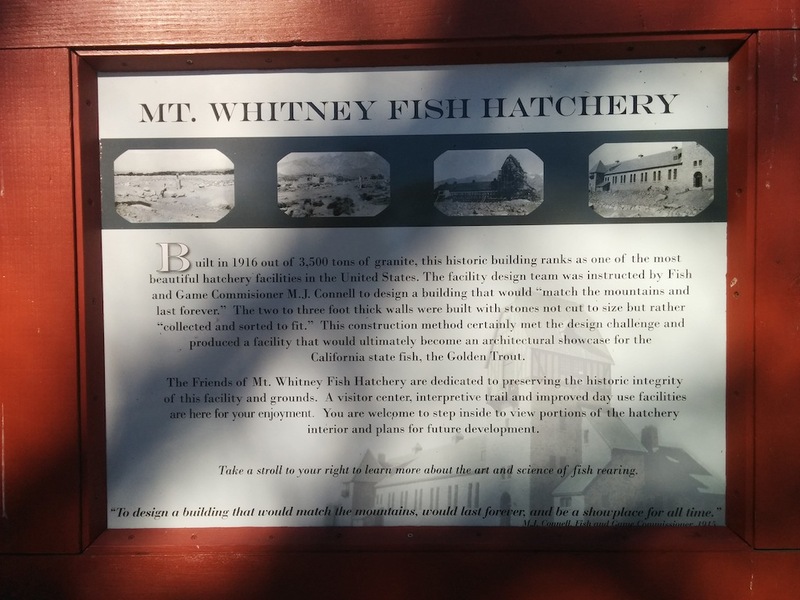 Because of extensive damage caused by mudslides in July 2008 this is no longer an active hatchery and is instead kept open as an interpretive center thanks to private donations and the Friends of the Mt. 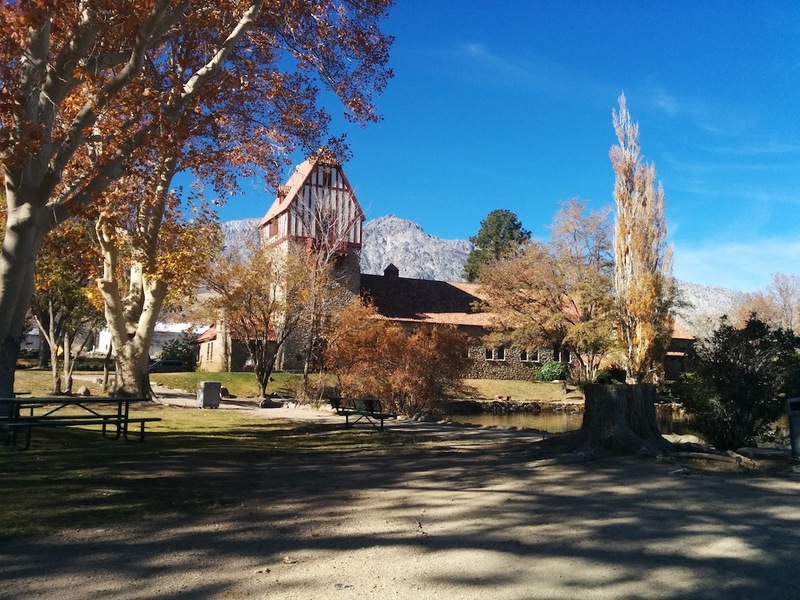 Whitney Fish Hatchery. It was free to enter but a donation box has been set up. Inside the long room to the right of the entrance door are a couple of raceway tanks with trout fingerlings swimming about in them and one can imagine when the room was once bubbling with the sounds of such tanks filling it end-to-end. Past that room at the end of the long building is a small museum with some interesting exhibits covering the history of the area, the hatchery and its operations. 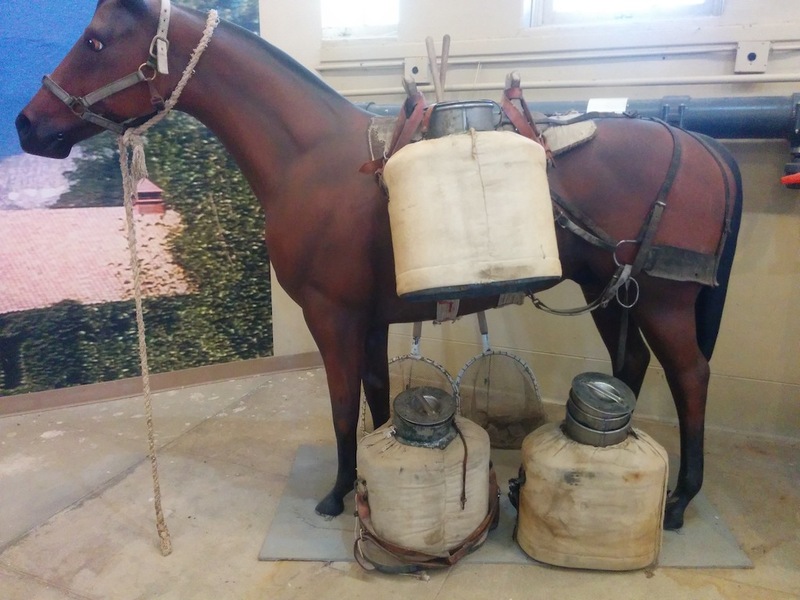 We especially liked the model of the horse carrying the old containers that look like huge, canvas-covered canteens and were once used to transport the fingerlings back up to be planted in Eastern Sierra lakes. Less popular, at least with Willow, was the stuffed coyote which she gave a lip lifting, a bit of raised hackles and a low growl towards before figuring out that it was, long ago, reduced to this non-predatory state. The entire look-around and walk-through took all of 30 minutes and might have taken, at most, an hour had we stopped and closely read each and every exhibit. Anyone interested in architecture, fisheries and local California history will find this short stop well worth the detour.